Why Claim My Podcast on Podcoin? Bonus podcasts on Podcoin drive discovery better than anything in podcasting. Get 2 weeks as a bonus podcast just for claiming a podcast. Then, get 2 more weeks FREE of Bonus podcast for EVERY new episode you publish that includes a Podcoin call out! How many listening minutes do you have? How many listeners? Subscribers? We report it to you free everyday and for all time, starting on the day a podcast is claimed. 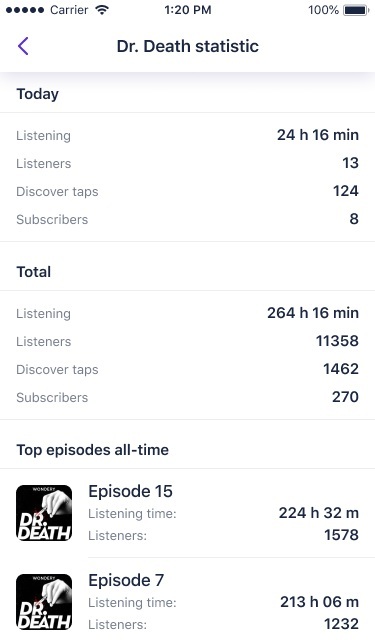 You can even see which of your episodes are the most popular by listening time and listeners. Wouldn’t you like to SEE who is listening, like actually see their faces and see what else they listen to? Wouldn’t you like to communicate with your subscribers via push notifications and comments? We are in the process of building out leading-edge social tools to empower your audience engagement. 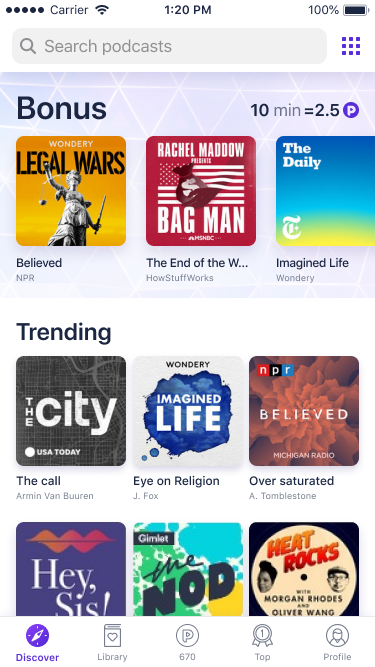 Podcoin is the latest innovation in podcasting. We offer loyalty points to our podcast listeners, and we foster community around shared interests, while providing a social solution to the issue of podcast discovery. Most of all, we seek to deliver listeners and an engaged community to you, the podcaster. I just want to say thanks. I’m really impressed with the app. I had the most listeners in 1 day ever today! Top stuff. I’m looking forward to a long and successful partnership with Podcoin. How do I claim my podcast on Podcoin? Get the Podcoin app and register a free account. Then, fill out the form below. Then, you will be asked to validate you are the owner by completing one of these 2 simple steps: either respond to a verification email that we send to the email addresses in your RSS file OR add the word “Podcoin” in the description of your latest episode. This is the email address you registered on the mobile app Podcoin. You must first download the Podcoin app and register for free. We need this account to associate you to your podcast. Option One: Send me an email to the email address in my RSS file, and I will respond to it. Option Two: I have included the word "podcoin" in the description of my most recent episode. I understand that podcasts considered for "Bonus Podcast" status must meet minimal quality standards (we know it when we hear it), including having episode lengths of at least 15-20 min and not too full of advertising. In addition, I understand that I may have up to 2 of my claimed podcasts set as Bonus podcasts at any one time. We have tremendous respect for creators on Podcoin, and we can’t wait to begin helping you attract, measure, and engage our awesome audience of podcast lovers!